America Recycles Day is tomorrow, Friday November 15th, 2013. Here in Dallas, we have city recycling. Paper, plastic, and glass items are all thrown into the big blue recycling bins and taken by the city. This is great and we surely appreciate the city-service. What they don’t take to recycle, though, are leaves and brush. These materials go into the landfill. We regularly see bags and bags of leaves and brush left at the curb for the city to pick up. So, for America Recycles Day, we’d love for everyone to pledge to no longer bag up leaves! Our favorite use for leaves is mowing them back into the landscape. Rake out leaves over your lawn in an even layer then just mow right over them. Don’t leave them in a layer on your lawn, however, or they’ll encourage fungal issues and also keep much needed sun from the blades of grass. Once they are shredded, they’ll add nutrients back into the soil and renew your lawn. An inch of leaves mowed down between the blades is enough. If you find you have an over-abundance of leaves, collect the mulched matter and spread throughout your garden beds, at the base of trees and shrubs, top-dress container plants, or add to the compost pile. 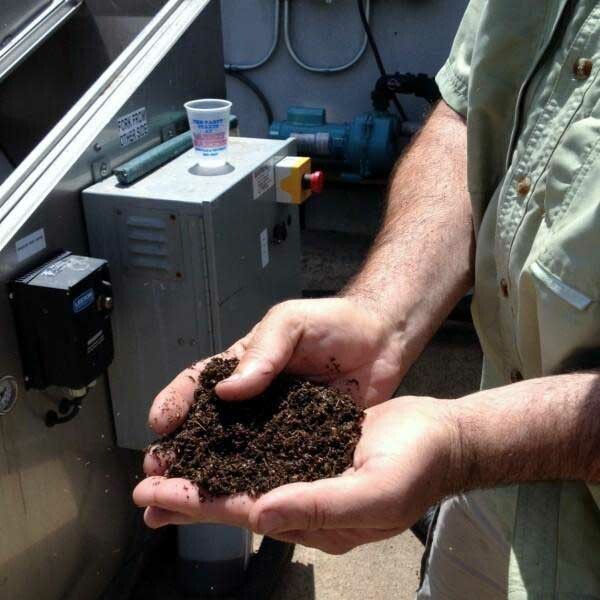 We recycle local organic matter into liquid compost extract that we use in our custom made fertilizer program. It's what keeps your lawn and landscape healthy and beautiful! For information on what else you can recycle throughout Dallas, visit the Events page of America Recycles for locations and items you can drop off here.